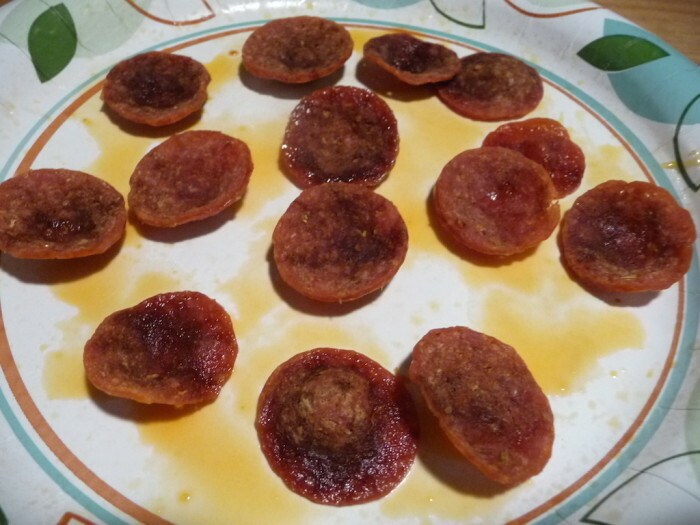 While it’s not exactly fried pepperoni, it is cooked in your microwave before placing onto your favorite frozen pizza or adding to your carry-out pizza. It’s especially good when reheating leftover pizza slices. 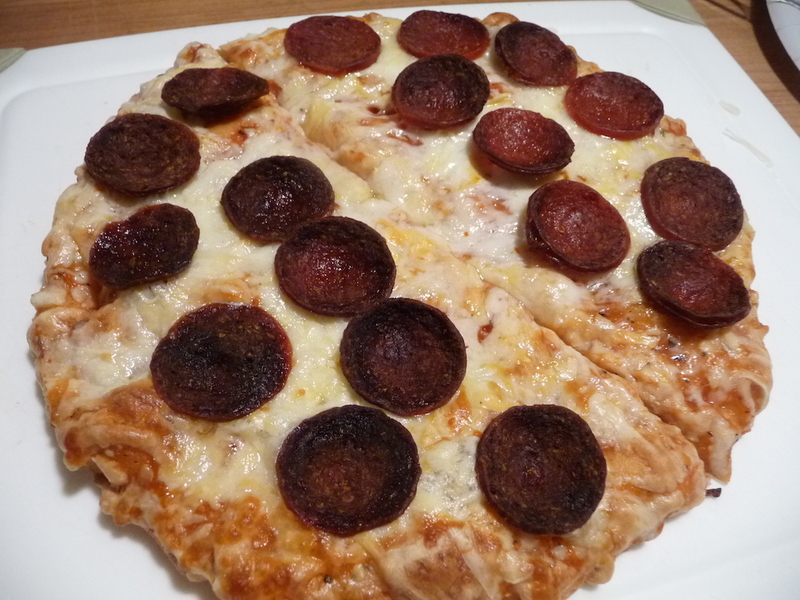 What you are really doing is simply zapping your pepperoni slices in the microwave to add to any pizza you have on hand – whether it be frozen or leftover carryout. This technique adds some nice crispy pepperoni to any pizza. 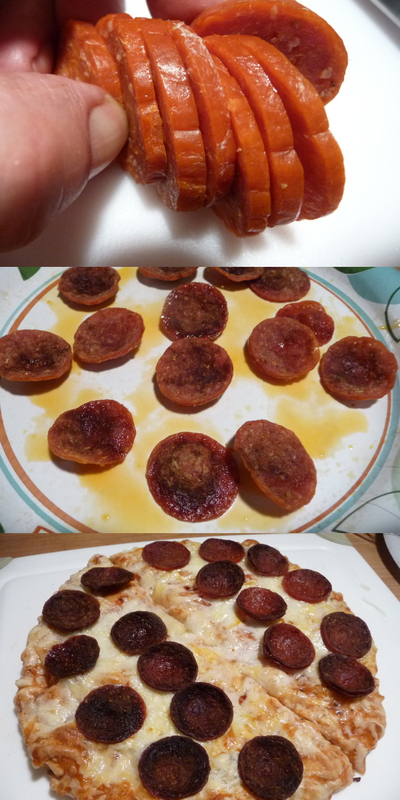 A very small benefit is that most of the fat “cooks out” of the slices. I used to stop by this pizza shop on my route, and when I’d ask for a slice or two, the chef would slide a couple slices into the oven for me. If I wanted pepperoni, he’d just nuke them in the microwave, toss them onto the pizza, and voilà!… slices of pizza with pepperoni. This is so stupidly simple that you will love it! 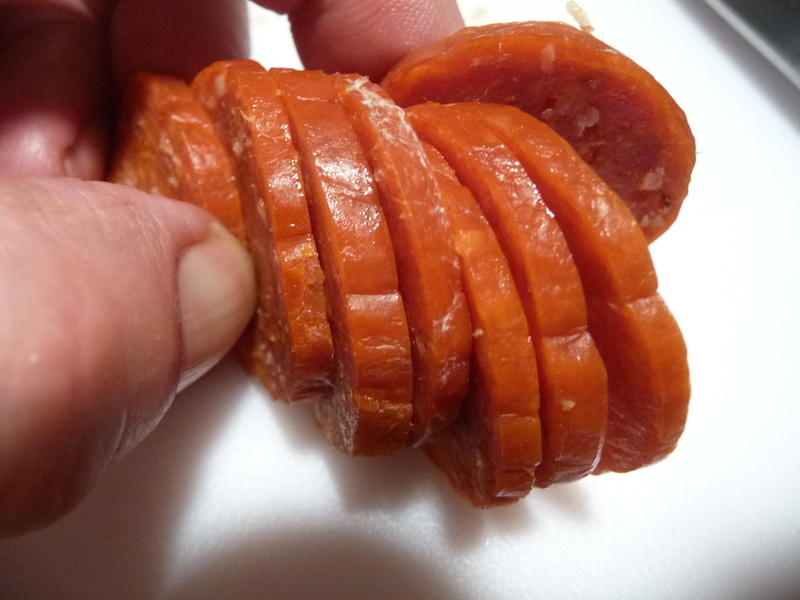 Slice up a nice bunch of quality pepperoni from a stick. Choose the thickness you desire – thick or thin. 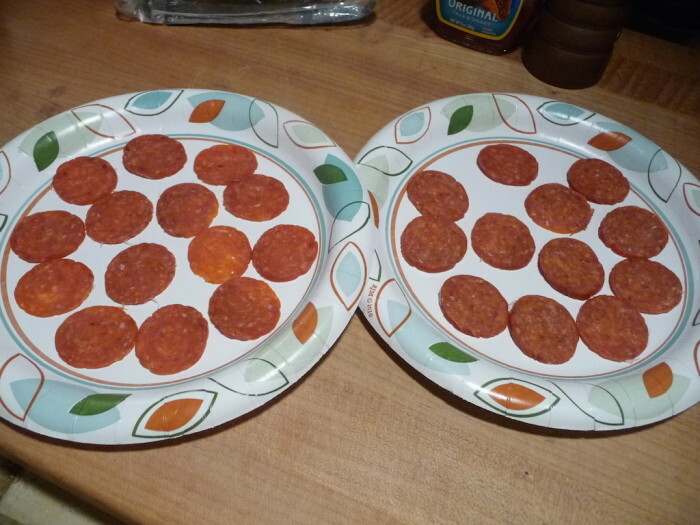 Place slices on paper plates. Cover with a paper towel. Nuke in microwave for 20 – 30 seconds max. (Your mileage may vary, just be careful and watch the slices). Place the crispy, microwaved slices of pepperoni onto pizza to finish cooking. 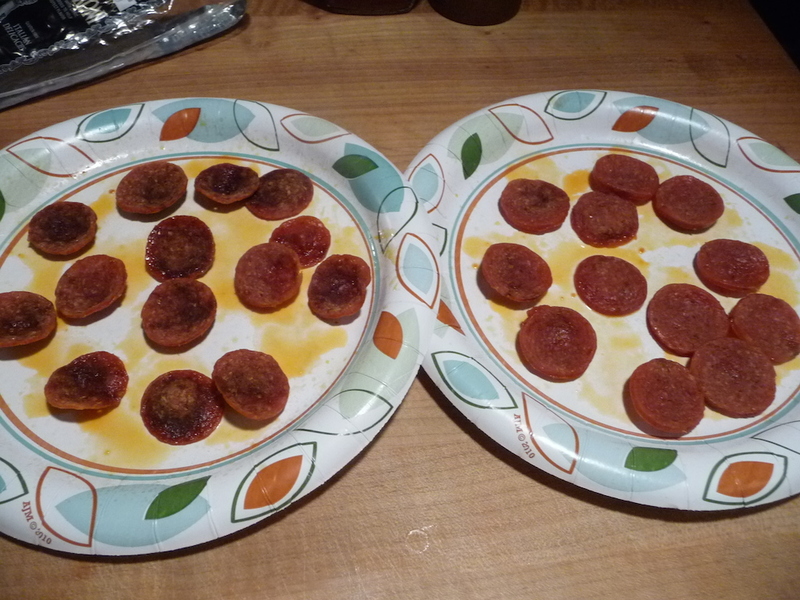 You can place the nuked pepperoni onto the pizza slices at any point in the reheating phase, but I usually wait until about halfway through the pizza cooking/heating process. After all, the pepperoni is a ready to eat product, so the timing of when you place it on your pizza is up to you. I’d love to hear about your favorite things to add to carryout or delivery pizzas. Leave a Comment below! What are your favorite toppings on pizza? Don’t make me talk about anchovies! Which I love! I’ll do it if I have to!